Hey guys, I hope you had a good bank holiday weekend. I stayed at home and used the extra day to catch up with myself. I watched the Nottinghill Carnival one TV, despite the rain all weekend I really considered going out and enjoying the festivities! I haven't been to Carnival for 15 years, so its definitely on my 'to do' list for next year. 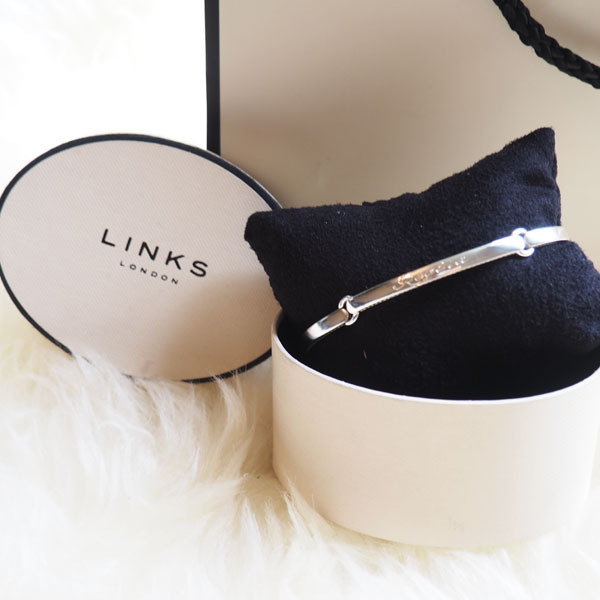 I thought I would do a separate post on my Links of London Bracelet. I love it when I receive an item in beautiful packaging almost to the point that I don't want to open it and just leave it looking pretty ha ha, I hope I'm not the only one that's like that! I'm really into minimal jewellery right now, so this bracelet fits right in with my little growing collection of jewellery.